Simply White is just exquisite. 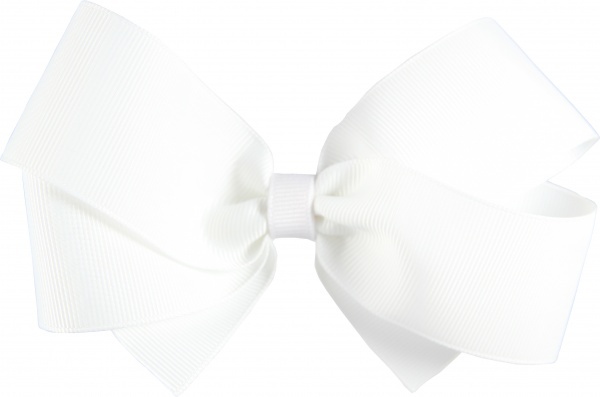 This boutique styled bow is 1.5" grosgrain white ribbon that has a white ribbon wrapped in the center. The center is flat on purpose, no french knot because this is one of the base bows that look great with any of the 411 Topper series bows. This allows your bow to be added on with smaller layers of different prints or any flowers. Of course this can be worn just as shown for simply white look, but can easily be changed into different looks without a big expense.